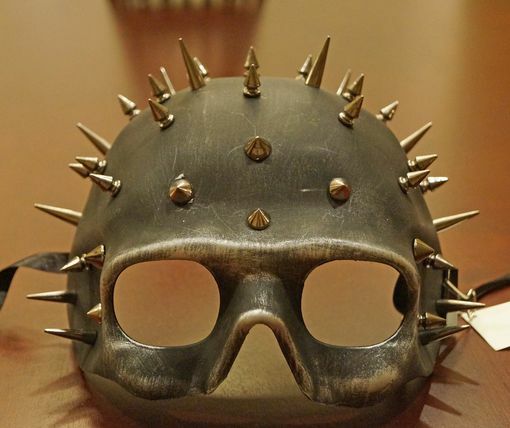 This half skull spiked mask is painted silver and has multi size spikes. Mask is made of a durable molded resin and comes in two colors to choose from. Secures with black ribbon ties.